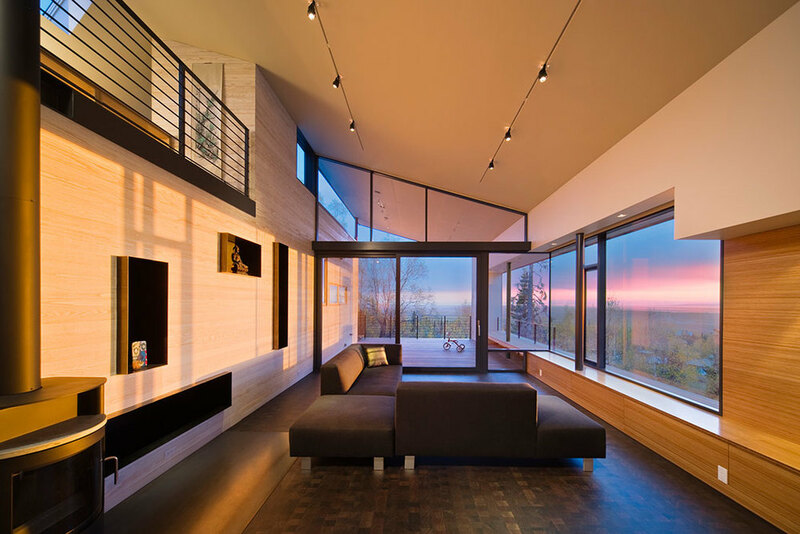 Located on a small knoll at the base of Alaska’s Chugach Mountains, this new residence forms strong visual and physical ties to the landscape. The site is forested with birch and spruce trees and offers commanding northern views of downtown Anchorage and the Alaska Range beyond. Stretched long the house creates a sequential and spatial response to the changing landscape character of the ridge. Beginning with the very near and intimate ground-related forest understory the spatial scale of the house expands as one moves out the ridge to engage the distant panorama. The living spaces of the residence are configured to optimize social function, landscape interaction, environmental relationships, and energy performance. Collective spaces require stable long term inhabitation and form big landscape connections. Individual spaces require intermittent inhabitation and form near landscape connections. Private spaces require intermittent or night time inhabitation and form limited landscape connection. 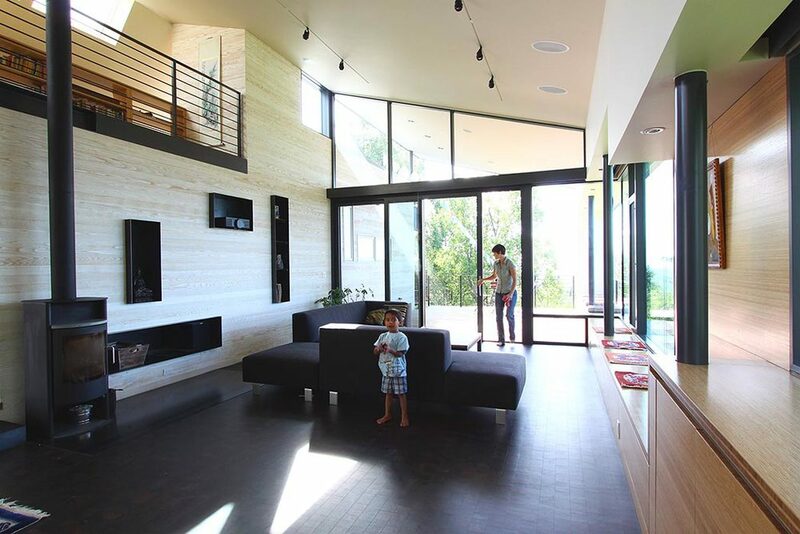 This strategy drives the spatial and resultant formal configuration of the house, enabling high performance and environmental zone control between adjacent living areas. 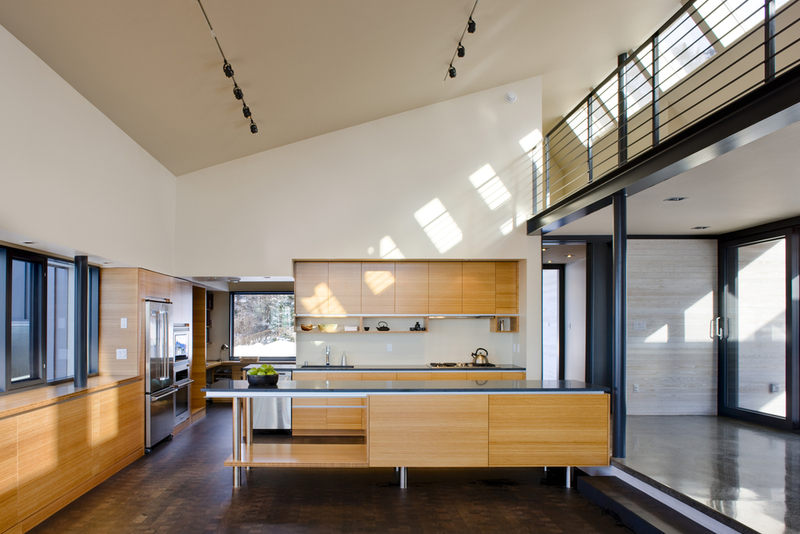 Passive winter heating is achieved with a continuous south facing clerestory designed with a slope and orientation for maximized solar photovoltaic energy and solar hot water production. 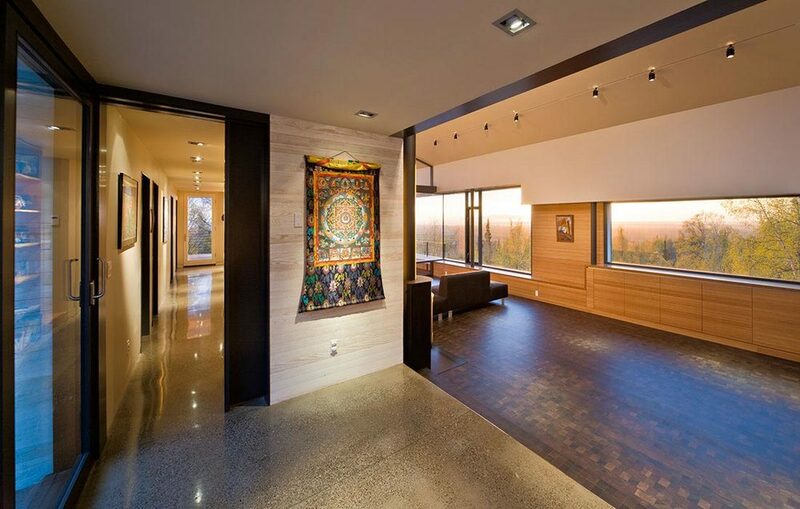 Radiant in-floor heating system with thermal mass concrete floors and abundant natural day lighting and lighting control minimizes energy use throughout the year. Standing-seam metal cladding wraps the building’s exterior walls and roof. Fireproof and durable, it provides a protective shell. Within this shell, softer woods of fir and cedar, like a fleece pullover, wrap the surfaces of human contact. Finished in either white or ebony semi-transparent stains, these soft woods seek to be both abstract and materially expressive. 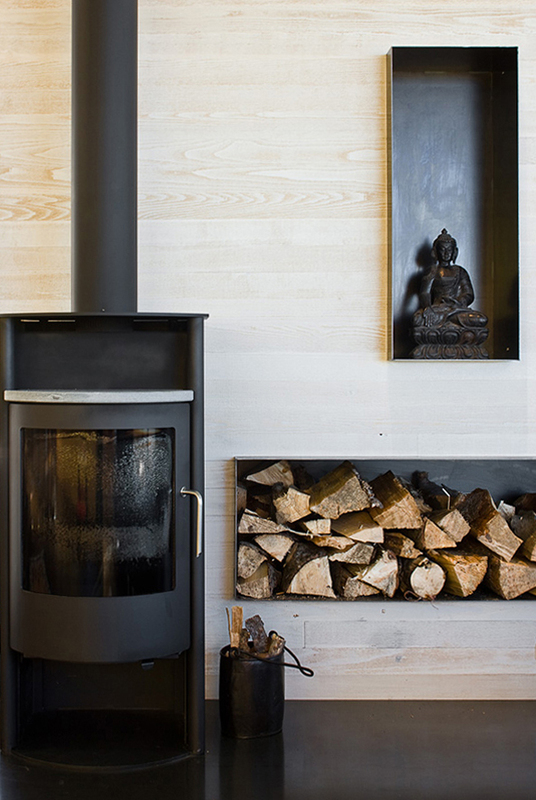 Bamboo casework and blackened steel accents compliment the environmentally honest palate.